The day has finally come where that annoying faucet, toilet or any other water source in your home is dripping or making noise. Do you know the average house wastes 10,000 gallons of water a year. Over 1 Trillion gallons in the world. Let’s stop wasting precious water. 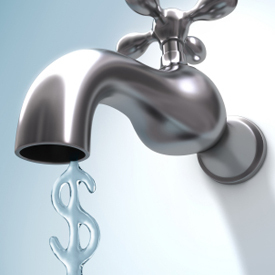 When your faucet drips and or toilet runs your spending a lot of unnecessary money. Let’s spend our money smart for gifts for loved ones and food for our families. Call Ken’s Sewer Service today and let’s put a stop to that pesky leak.